Jeep has used the Geneva Motor Show to reveal both the Renegade and Compass will be getting a ‘no-compromise hybrid solution’ soon. The announcement aims to turn the Jeep line-up into vehicles that provide absolute freedom. Offering a pure electric range of approximately 31 miles, the electric units work with the range’s 1.3-litre turbo petrol engine to increase efficiency and power. The Renegade offers up to 240hp resulting in a 0-62 time of seven seconds. With this improved acceleration and engine response, Jeep aim to make their SUVs more fun to drive and respectful of the environment, with CO2 emissions lower than 50 g/km. But above all, the new electric all-wheel-drive technology (eAWD) allows the Jeep range to further improve its legendary off-road capability. Traction to the rear axle is not provided by a prop shaft but through a dedicated electric motor: this allows the two axles to be separated to control the torque independently and more effectively. The announcement comes following the launch of the 2019 Renegade, which aims to blend on-road performance and off-road capability with value for money. Benefitting from a refreshed exterior, a new infotainment set-up and a revised engine set-up, externally, the front bumper gets a new design to incorporate some larger fog lights. 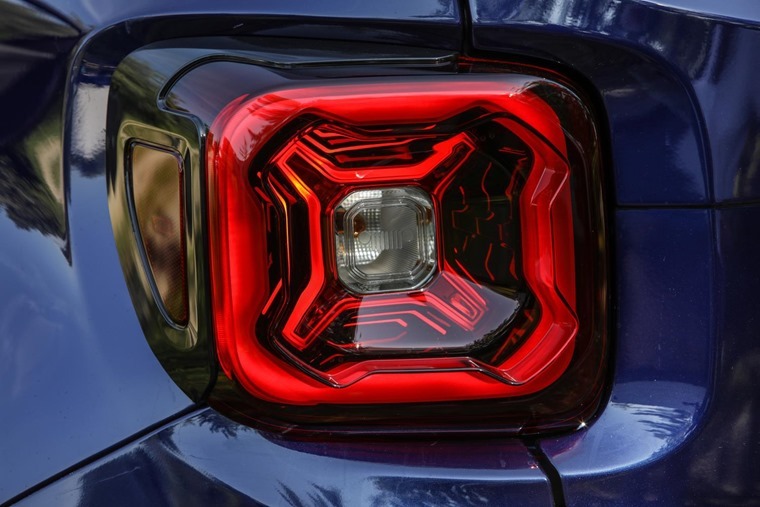 There’s a new set of LED headlights available too, while the famed Jeep grille slats have been widened and feature contrasting chrome surrounds. Changes are less significant at the rear, with the exterior completed by seven different wheel options – including 16in, 17in, 18in and 19in – with the latter introduced for the first time and exclusive to the Limited trim. New three and four-cylinder turbo petrol engines debut on the Jeep Renegade – the new engine family includes a 1.0-litre delivering 120hp and 190 Nm of torque and a 1.3-litre delivering 150hp or 180hp and 270 Nm of torque. The engine offering also includes the updated 1.6-litre and 2.0-litre MultiJet II diesel engines with selective catalytic reduction, all of which are Euro 6d compliant. 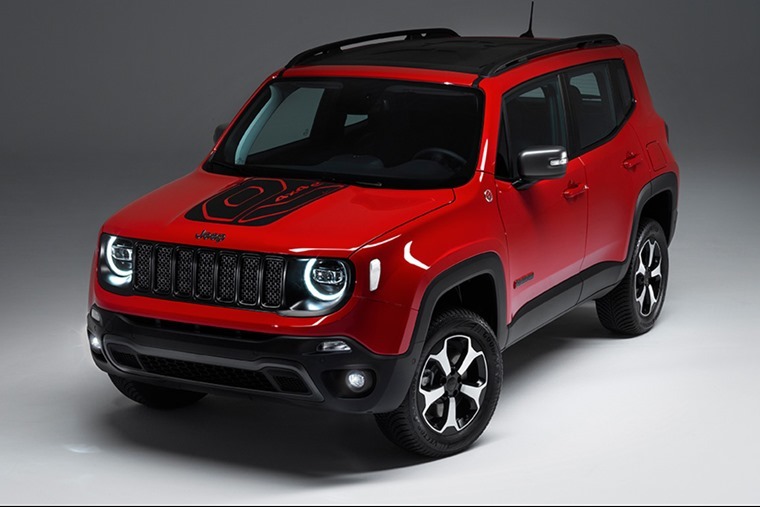 The engine range on the new 2019 Renegade can be paired with a six-speed manual dual dry clutch transmission and nine-speed automatic transmissions for a smooth, comfortable driving experience. 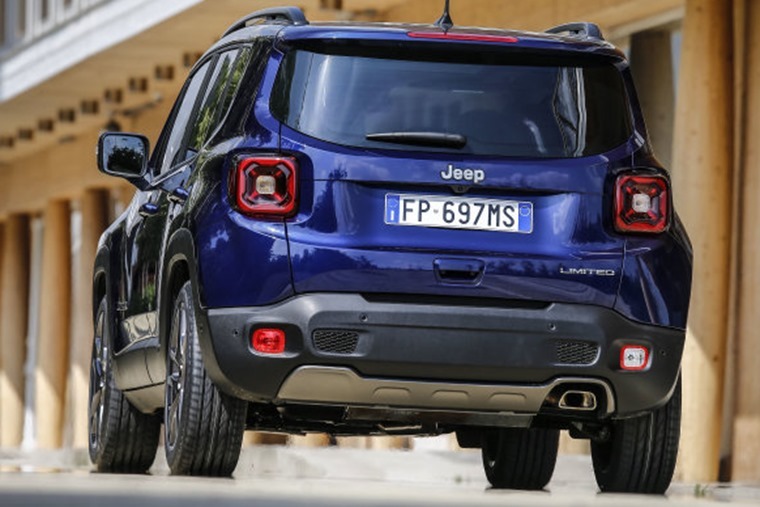 The new Jeep Renegade is available in two configurations, with two- or four-wheel drive. Legendary Jeep off-road capability is guaranteed by two advanced 4x4 systems, Jeep Active Drive and Jeep Active Drive Low which secure benchmark performance in all conditions. Depending on trim level, new Jeep Renegade can be equipped with Uconnect 5in or Uconnect 8.4in nav, which include touchscreens and easy-to-use features, and a more powerful processor with improved response capability. This allows for the driver to control the climate system, the sound system and much more directly from the Uconnect display, for additional safety while driving. 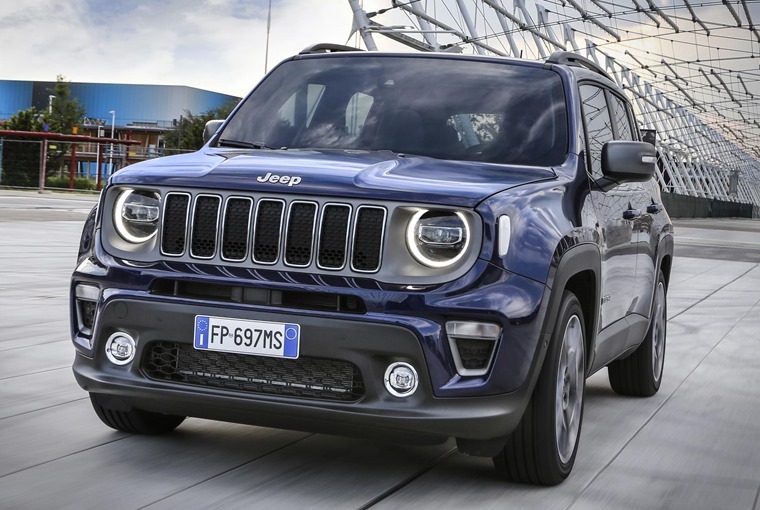 “The new Jeep Renegade has all the attributes of the last version, with a host of superb new features and a high level of standard equipment,” says Andrew Tracey, marketing director, Jeep UK.